As part of a future-minded thought process, many schools have crafted a vision statement to accompany their mission statement. This booklet looks at three aspects of school life that are impacted by a school’s vision: campus, people, and programs. Balance in the VUCA world is a challenge in many spheres. This booklet examines the balance necessary in community, technology, and in parenting. 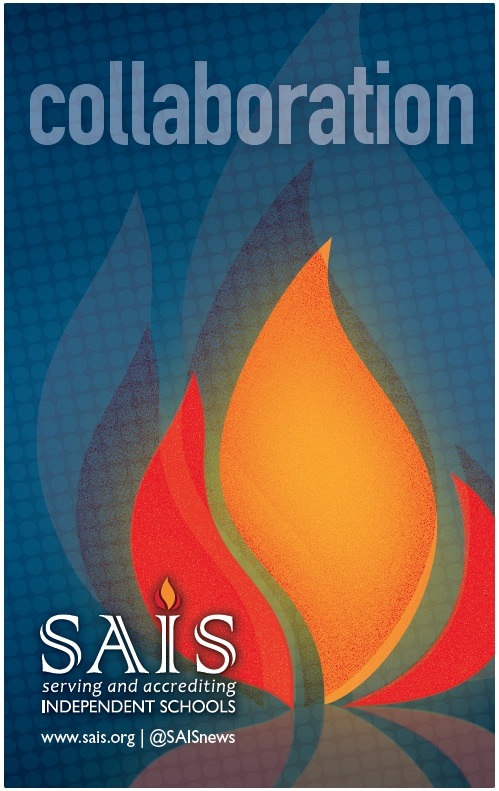 This booklet highlights some of the many collaborations taking place in and among SAIS schools. Strategic collaborations will be a game changer for schools in the coming years. Understanding what your school has to offer and seeking like-minded partners, can help your school expand its reach and impact. What existing and new collaborations might benefit your school and your community? This paper is a compilation of the insights shared by novice, experienced, retiring, retired, and interim heads, and offers an overview of the transition process. It is by no means a checklist of what to do; rather it purports to share a series of narratives, organized by quotes, from those who have experienced transition first hand. The final pages of this booklet contain an aspirational article from SAIS President Dr. Steve Robinson, as he lays out the case for growing talent from within and giving that talent a fair shake when transitions do occur. A collection of articles from independent school leaders including Stuart Gulley, Doreen Kelly, Pat Bassett, Dr. Steve Robinson, Billy Peebles, Rob Evans, Scott Wilson, and Jeff Mitchell.